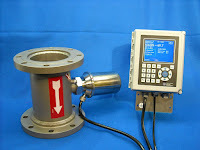 Two versions of inline refractometer adapters. Inline refractometers use process adapters as the mechanical connection between the refractometer sensing head and the process piping. 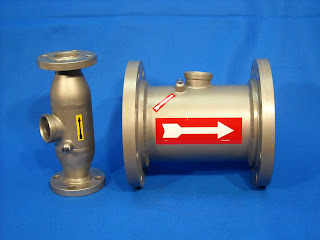 The adapter, also referred to as a "spool piece", is designed specifically to accommodate the pipe size and application. 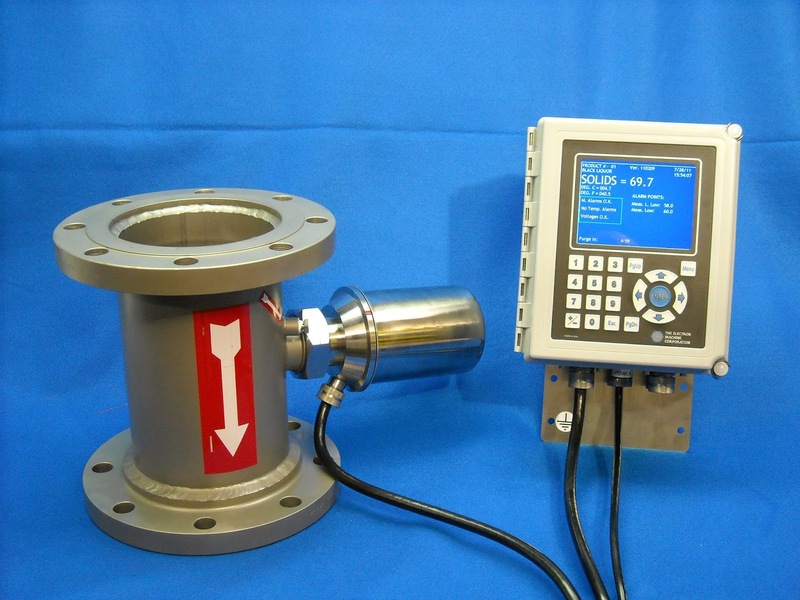 On applications where pipe sizes are 2" or larger, the use of a refractometer sensing head spool adapter is suggested. This ancillary piece of hardware provides a mounting point for the sensing head between two flanges directly in the process piping. The spool adapter positions the sensing head so that it measures from the center of the process flow. The spool adapter design includes an internal deflector and a 5 degree (angular) sensing head mounting connection. 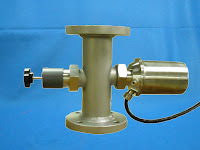 The deflector and angled mounting connection reduces sensor head coating issues from the process media. A steam purge tube connection is standardly included to accommodate steam/fluid cleaning. Spool adapters recommended mounting orientation is horizontal, generally placed in a horizontal segment of process piping. Vertical mounting is also acceptable, as long as the process flow is in an upward direction. 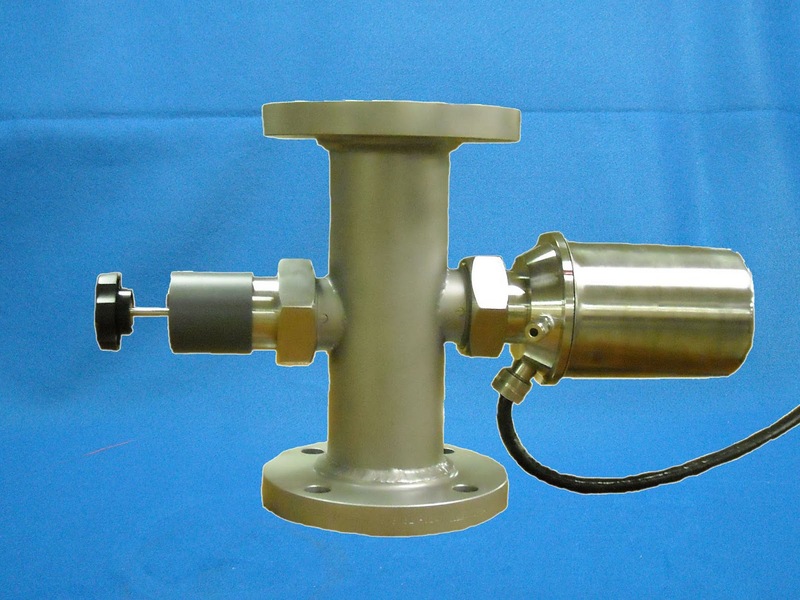 Inline refractometer spool adapters are available with option to facilitate cleaning, service and process protection. Examples are lined adapters, hand cleaner adapters, high pressure cleaner adapters, isolation valves, sanitary connection adapters, and weld-in adapters.